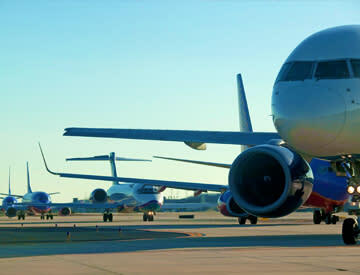 Tampa International Airport (TIA) is paving way for a bigger and better experience. Traffic patterns at TIA continue to shift as its $1 billion expansion project, expected to finish 2017, continues to develop. Crews have closed one lane of the Blue departure entrance and one lane of the inbound parkway to put support columns in for the new automated people mover. With these lane closures and change in future traffic patterns, TIA asks that drivers are mindful of the 25 mph speed limit around the main terminal. There will be construction workers on site, new merges and changes to the roadway. It’s not just the roadways that are impacted by this renovation. Two floors of the Short Term Garage remain closed as crews work on the Terminal expansion, but this is expected to wrap up by mid-March. Also, crews expect to reroute the outbound lanes of the George J. Bean Parkway in early March to its normal configuration. This means drivers leaving Short Term and Long Term Parking will no longer need to circle the Main Terminal to exit the Airport. Lane closures aside, it’s expected to have a minimal impact on passengers. To avoid construction changes, passengers are encouraged to park in Economy Parking. Drivers picking up should park in the Cell Phone Waiting Lot until their guest is at curbside and ready, to make your airport experience as smooth as possible.